Warner Bros. Hits Back At Bethesda's Fallout Shelter Lawsuit, Describes Claim As "Baseless"
Just last week we reported on the news that Bethesda had filed a lawsuit against Warner Bros. and Behaviour Interactive over the new Westworld mobile game. 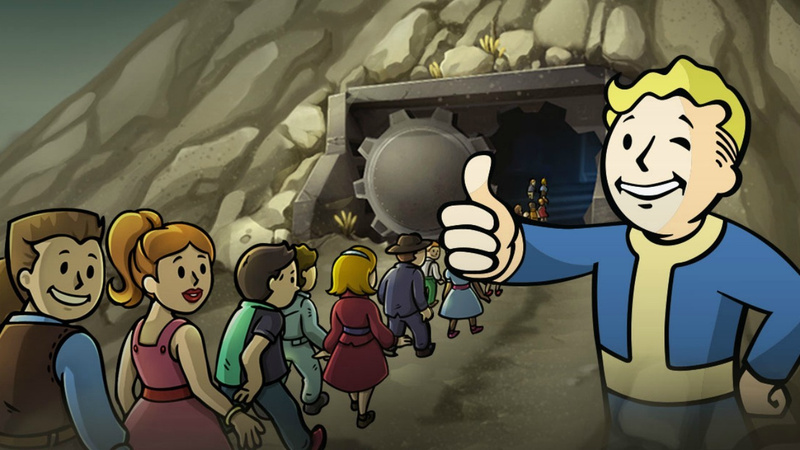 The studio claimed that the game uses code that was originally created for Fallout Shelter, and there seemed to be some pretty fishy evidence to back that up. Speaking to the folks over at GameInformer, Warner Bros. has now responded with a new statement on Bethesda's claim, describing it as "surprising" and "baseless". "As one of the world’s leading creators of intellectual property, including the ground-breaking television series Westworld, Warner Bros. has a deep respect for intellectual property rights. As such, the assertions by Bethesda Softworks that Warner’s Westworld mobile game improperly used source code from Bethesda’s Fallout Shelter are as surprising as they are unsubstantiated. Warner Bros. has been assured by the game developer, Behaviour Interactive, that Bethesda’s allegations are untrue and that none of Bethesda’s code was used in the Westworld game. Moreover, contrary to Bethesda’s baseless accusation, Warner Bros. at no time “induced” Behaviour to use the Fallout Shelter code in Westworld." Bethesda is reportedly suing to have the Westworld game shut down, but this response from Warner Bros. will certainly delay - or potentially stop - proceedings. As always, legal matters such as these can take an awfully long time to resolve themselves; we might have to wait quite a while before hearing any outcome. @NewAdvent The lawsuit isn't in regards to how similar the game is. 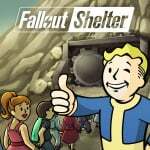 Its that Bethesda claim to have proof that Warner are using fallout shelters source code, to the point where the game (which apparently is almost impossible) has an identical game bug Fallout Shelter suffered. Sounds like Warner is just trying to save face publically with a brazen look and get this squared away behind closed doors. Warner can't show sign of weakness in these kind of things even if they are in the wrong. A big boy up against an even bigger boy. It will be interesting to see how this pans out. For Bethesda to make the claim then there is obviously at least some truth to it. @OorWullie Very much so. If I recall Bethesda has only done a petty lawsuit in regards to that Scrolls titled game. They normally are pretty on point when targetting for lawsuits, and it definitely isn't like they need quick cash or anything either. Hoping Bethesda lose because of their ridiculous "Scrolls" lawsuit. It is almost refreshing to see a lawsuit that wasn't started by Apple. "including the ground-breaking television series Westworld"
Haha what, what's that got to do with anything? @shaneoh Scrolls was a little bit of a toss up though. Technically they had to defend The Elder Scrolls or they could've lost it. In this case Bethesda is in the right as the bug that happened was the exact bug that Fallout Shelter had. @shaneoh The scrolls thing was a trademark defense. That's completely different. With trademarks you have to defend them or risk losing them, that's the way the law is written. They had to do that. In this case Bethesda is arguing, and seemingly has proof, of theft of code. One is trademark defense the other is is about theft. Betheseda is stupid. Did they not see how much bad news PUBG did for suing Fortnite. These ridiculous lawsuits aimed at competitors need to stop. They aren't required to defend every single potential infringement though, otherwise the courts would be filled with more petty claims than it currently is. The use of the word "scrolls" differed greatly between the two games, once instance uses it as part of a series title (and has never been used for a game without a second main title to go with it), while the other used "scrolls" solely as the title of the game. The amount of games with "The Legend of" in the title is staggering, and yet Nintendo hasn't lost the rights to "The Legend of Zelda." If the title had featured both "elder" and "scrolls" then I'd agree there would be some validity to their claims, however that one was petty and mean-spirited. @shaneoh it doesn't really change the fact that the law says they need to show defense of it. You're basically saying it's bad that Bethesda followed the law and now you want to see them harmed for following the law. "Warner Bros. has been assured by the game developer, Behaviour Interactive, that Bethesda’s allegations are untrue "
So basically they have no proof the allegations are untrue. @DiscoDriver44 Not the same thing. The PUPG and Fornite thing was crazy as it was over replicating an experience as they were similar in features thats pretty much it. It was clearly just done to try an harm the competition. This is over stolen Source code and a design its pretty much spot on the same. That is much more serious. As the article above states there is a possibility that they even stole the code directly due to similar bugs. So the PUBG and Fornite was lawsuit was clearly over similarities and was publicised as such. Whereas this is a pretty much a direct copy. They didnt even try to change the art style. @XenoShaun @NewAdvent @DiscoDriver44 one other thing to note is that both games were developed by Behaviour Interactive and both games have the exact same bugs from the beginning. @shaneoh There is an Scroll in Elder Scrolls. It could've prevented Bethesda from making an Elder Scroll prop due to the trademarks filled. Scrolls could've used an Elder class scroll, it was something that Bethesda was worried about. Well, it's not something I'm in a hurry to hear the end of anyway. It's between them and it deserves careful investigation. Bethesda has serious claims, especially the stuff about the code so raw it carried over all the early bugs, and of course it's not often that someone accused of plagiarism will immediately reply "yeah, our bad" - but we audiences carry no judge gavel in this field. I'm not gonna jump to any conclusions and take any sides (not that I'm remotely in a position of right and relevance to do the latter anyway) until things have cleared up. They going to spend more on lawyers than what these games cost to make. The game dev has been caught by their own inability to test their games for bugs. Hustle castle is also a clone of fallout shelter. Is Bethesda suing the makers of that? Also the app and play stores remind me of those 150 in game cards for the game boy back in the day full of cloned games. Warner is probably hoping to slow down court proceedings long enough to rake in that free-to-play mobile money..
As I said, they aren't required to prosecute every single potential infringement in order to retain their trademark. No, the lawsuit was filed because they were worried that people would confuse Scrolls and Skyrim.